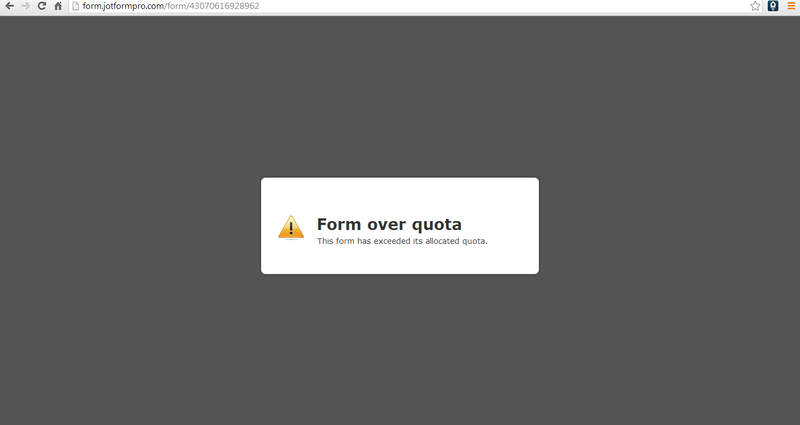 Why am i getting this This form has exceeded its allocated quota. I've checked your account, you have exceeding the upload limit to 1.7GB, please delete your unused files to your account, our free user have 100mb/month only or you need to upgrade your account to our premium plan. Also, you have been autosuspended by our auto phishing detector because of the Arabic language, since your account are not phishing related, I reactivated your account but you need to delete the unused files so that you can use back your form.